While early diagnosis and appropriate treatment are key to taking charge of Parkinson’s disease (PD) and continuing to stay active. 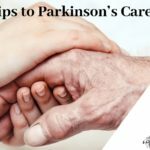 It’s also important to remember that you can also help manage your Parkinson’s disease with non-medicinal therapies and lifestyle changes. 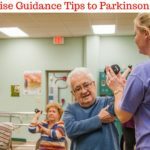 Managing all the aspects of life that can be affected by Parkinson’s disease PD can get complicated. 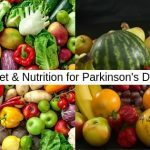 Creating a game plan will help you approach your well-being holistically and provide structure to balance your Parkinson’s disease management with your lifestyle and other personal needs. Discuss your priorities with your family and healthcare team. Consider how your health-related decisions could impact your priorities and seek treatments that provide effective symptom management. As the disease progresses, consider seeking therapy to help compensate for any changes in your physical abilities, speaking voice, handwriting, or other issues that may impact your daily life. Commit to doing whatever you can to lessen the impact of issues that interfere with the things that are important to you. Living with Parkinson’s disease brings a range of emotions, and taking care of your emotional health is as important as taking care of your physical health. Support groups are a great way to cope with some of the emotional challenges of living with Parkinson’s disease. 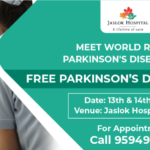 The feelings associated with Parkinson’s disease are often complicated by depression: As many as half of people living with Parkinson’s disease may experience clinical depression at some point. Occasional feelings of sadness or discouragement are normal, but you should watch for signs that you may be experiencing clinical depression and discuss them with your doctor. Hobbies are an important part of life, and they should be a priority when it comes to managing your Parkinson’s disease. Make time for your hobbies and interests, and talk to your nurse or doctor if Parkinson’s disease symptoms or medication side effects interfere with your ability to do them. Bring a buddy. Invite a friend or family member to participate in your hobby with you and allow her or him to help as needed. Look for adaptive equipment. If not readily available for your hobby, consider enlisting a specialist to create an adaptive tool for you. Expand your interests. Try new activities that may be less physically challenging, or find new ways to participate. If you can’t participate in the traditional sense, perhaps you can teach, officiate, or coordinate events. Bend slowly at the waist and touch your toes before trying to rise from a seated position. Once standing, remain in place for a few seconds before trying to walk. 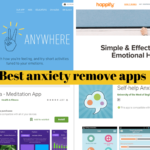 This will help you regain your balance. Place an additional cushion or book to add height to your chairs and add firmness, this will help you to decrease the distance when sitting or standing. To make it easier to get out of bed, tie a sheet to the bed post and knot the other end so you can grasp the sheet to rise to a sitting position. Massage (or have someone else massage) your legs nightly to relieve leg cramps. Take warm baths and use heating pads to help relieve muscle spasms and ease cramps. Use mineral ice to relax sore joints and muscles. Squeeze a small rubber ball to reduce hand tremors. At first indication of a tremor, if possible, try lying on the floor, face down, and relaxing your body for five to 10 minutes. Count your steps as you walk. Rock in place from foot to foot to get moving again if you become frozen. Have someone place their foot in front of you, or visualize something you need to step over, to get moving again. Purchase a small battery-powered alarm pillbox to help you remember your medication schedule. Use a speaker phone or telephone headset to ease the problem of hand tremors while talking on the phone. Install an intercom system or purchase walkie-talkies to make contact within the home easier. Don’t rush your meals. Allow the extra time you need to finish your meal. Rest your elbows on the table to provide more motion at your wrist and hand. Sit with your knees and hips bent at a 90-degree angle in a straight-back chair. Use utensils with built-up, lightweight handles, or use a “spork” — a spoon and fork in one. Use a rocker knife for cutting food. Use a non-skid mat to stabilize objects on the table. Use a plate guard or plate with a raised lip to prevent food from spilling. Use a long straw with a non-spill cup or use a plastic mug with a large handle. Use a straw when drinking to strengthen the muscles of the lips, mouth, and throat. In short you should learn to live with Parkinson’s disease and not be defeated by it. In an another blog we will discuss more about medical treatment, its side effects and managing the same.